First launched in 2013, the Lexus Design Award is an international design competition that targets up-and-coming creators from around the world. The award seeks to foster the growth of ideas that contribute to society by supporting creators whose works can help to shape a better future. As the Lexus Design Award is open to everyone, it always seeks to provide themes that can be interpreted across a wide range of disciplines. This year’s theme is “YET“. Aug 10 – Oct 16th 2016. 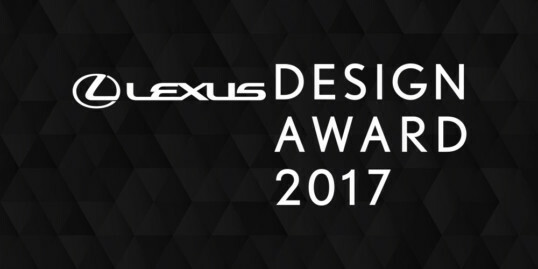 Your entry for Lexus Design Award 2017 will be accepted from August 10 through October 16 at designboom.com. At Lexus, their Yet philosophy gives them the courage to combine elements that at first seem incompatible. Yet is the catalyst that triggers breakthroughs, the spark that ignites an explosion of creative potential. This year’s applicants are encouraged to submit innovative designs and unique interpretations that are true to the essence of the theme. Works may be produced in any medium but must be submitted as low res JPEG, GIFformat and FLV format for video files. Up to 6 images can be uploaded (either single or composition images). There is no limit on the number of entries per person. All works submitted will remain the exclusive property of the entrant. Open to professionals, students and design enthusiasts from all over the world. Lexus Design Award 2017 provides an opportunity for twelve finalists and their works to receive an introduction to the design community and beyond at Milan Design Week 2017. In addition, four of the finalists will develop prototypes of their designs while receiving support from globally recognized design mentors. The maximum production budget allotted to the development of each prototype will be increased to three million yen. The finalists will present their designs in the Lexus booth, after which the Grand Prix winner will be selected from among the four prototypes through final review by the judges.